Children all over San Diego are headed back to school this month, and many kids will make their way to and from school on their bicycles. Bicycling is a great way to get needed exercise while also enjoying the crisp fall weather. Always wear a helmet. Helmets play a key role in preventing or reducing the severity of accident injuries. Choose a bike helmet for each child that fits properly and has not been damaged by a previous crash or other force. Adjust the bicycle to fit the child. When the child stands over the bike, there should be one to two inches between the child’s body and the top bar of the frame for a standard bicycle and three to four inches for a mountain bike. The seat should be level front to back, and the seat height should be adjusted so there is a slight bend at the knee when the child pushes the pedal to its lowest point. Dress to be seen. A brightly-colored vest or jacket with reflective strips will help motorists see kids on bicycles more easily, reducing the chances of a crash. Remind children that just because they can see a car does not mean the driver of the car can see them. If you or someone you love is hurt in a bike crash, don’t wait: call the focused San Diego bicycle accident attorneys for a free and confidential consultation. Injury by falling television set is not the first risk most parents think of when they are child-proofing a home. 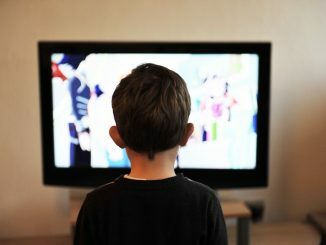 However, the number of children injured or killed by a falling television set has reached nearly 200,000 in 20 years, and the number of children who suffer injuries each year is climbing, according to a study cited in a recent issue of Insurance Journal. 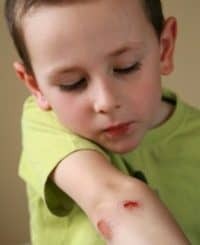 Children under the age of five years are most likely to suffer injuries in a falling-TV accident, according to researchers. Head and neck injuries, including concussions, are most common. These accidents typically occur when a heavy television is placed on top of a dresser or other piece of furniture. When young children try to use the furniture to pull themselves up or to climb, the television may fall and cause injuries. In 2011, approximately 12,300 children in the U.S. needed emergency room care after being struck by a falling television. This number was more than double the amount who needed such care in 1990. Between 1990 and 2011, 215 children suffered fatal injuries in a falling-TV accident. If your child has been injured by a falling TV or another defective product, don’t hesitate to contact a focused San Diego personal injury lawyers. During your free, confidential consultation, we’ll listen carefully as you describe your situation and help you better understand your legal options.